Troubling Japanese politics, Rakugo feels, and mental help health. 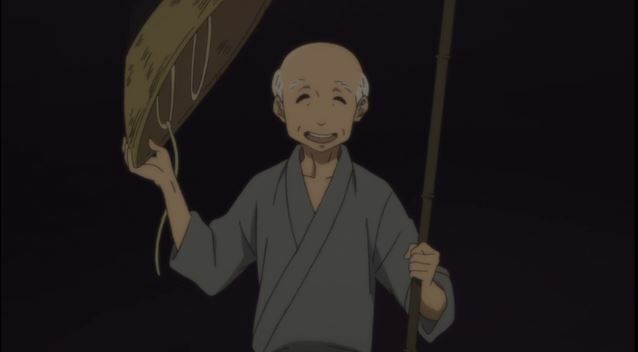 Caitlin, Dee, and Vrai sat down to dive deep on Rakugo’s portrayal of gender, its exploration of family and generational divides in art, and feels. So many feels. Con season is upon us. We invite you to share your best and worst memories of how the con atmosphere has improved (or not). Abe has gone from being the subject of scandal for being connected to a pro-imperialist school to now actively approving Mein Kampf for school curriculums. This article dissects quite a few worrying legal trends under Abe’s administration. The conspiracy laws echo unpleasantly the Peace Preservation Laws enacted in 1925 that are said to have been some of the most significant instruments of intellectual and political repression in prewar Japan. They were supposed to be used to fight communism, and the government declared that civilians were not in the cross-hairs, but after their enactment surveillance and arrests of citizens quickly became routine. An opinion piece digging into the murky issue of when critically engaging with texts and dark or problematic ideas becomes harassment. I accept there’s an uneasy balance between the desire to encourage respectful interaction and becoming the tone police—a tension between advocating for kindness and creating an oppressive culture of nice where nobody can disagree with anything and everybody is rendered silent. Acknowledging those tensions exist is important, but not sufficient to justify bullying. There’s a clear distinction between exploring objects of fandom and considered meta and character analysis on the one hand, and attempting to force people to ship, write, and like people deemed worthy of attention on the other. Male childcare providers still face huge discrimination from the public in pursuit of their careers. However, as the Huffington Post pointed out on Jan. 23, Kumagai’s statements, delivered via Twitter, didn’t sit well with a lot of people because he made a point of saying that these male workers would do the same tasks that female workers do. In addition to pledging that he would build men’s rest rooms and locker rooms in day care facilities (at present, toilets and changing rooms for staff are gender-neutral due to the assumption that only women will use them), he said that male workers would be charged with changing diapers and helping toddlers change their clothing, and assisting them in using the bathroom. The backlash was quick. Parents said that they didn’t want male staff to touch infants and children, particularly girls, and they felt that this demand was not at all discriminatory. Kumagai responded by asking: Did these parents not mind it when their sons were assisted in intimate tasks by female staff? It is discrimination, he asserted, to demand that some chores only be performed by women. While not a comprehensive list, it’s nice to see anime consciously depicting POC and minority groups highlighted. Yes, we’re talking about a [racial] majority here, but we can’t disregard the fact that there are portrayals of racial diversity in anime. Director and anime filmmaker Shinichiro Watanabe is a believer of bringing diversity into his stories. Yoshiko Shinohara made her fortune not just as a woman, but by focusing her work on helping other women find their way back to the workforce. Temp Holdings spokeswoman Yoko Somura told Forbes that Shinohara’s business helped transform a common issue in Japanese society. Somura noted that during those times, it was typical for women to quit working after getting marriage so “many women of certain age felt ‘uncomfortable’ to continue their careers.” Those women who actually wanted to continue working were left with few opportunities. An overview of the recent fashion trend pushing to divorce clothing from gendered associations. Although Genking himself identifies as gay and has talked openly on TV about his relationships with other men, it’s important to note that genderless kei is not a movement directly relating to gender or sexuality. While most adherents to the style are thought to be heterosexual, cisgender males, genderless kei isn’t about attempting to either ‘pass’ as a woman or make a statement about being gay or straight. Instead, it’s simply a fashion choice which rejects the notion that clothing itself must have a gender. Initially started to help foreigners adjust to living in Japan, TELL Lifeline is hoping to reach out to help Japanese citizens coming home after living abroad. “TELL is an NPO that supports the mental health needs of the international community,” says the Atlanta native. “Whether the client is a foreigner or a Japanese who speaks English doesn’t matter. Here in Japan there are loads of resources for those who speak Japanese — like the FIND (Federation of Inochi no Denwa) suicide prevention line — but there are very few for English-speakers. TELL was started way back in 1973 to address this need for mental health support in the foreign community. Utena is a pillar of feminist anime, but the concurrently run manga was always its own thing. Still, it was basically a complete story. So this new chapter will…. certainly exist. This year’s July issue of Shogakukan‘s Flowers magazine announced on Saturday that a new Revolutionary Girl Utena manga will run in the magazine’s September issue on July 28. Original artist Chiho Saitō is drawing the new manga. The magazine did not say if the new manga will continue past the September issue. As Japan discusses the possibility of women in infantry positions, Minister of Defense Inada offered a paper-thin excuse for why women should be kept from the job. To start, this thread was incredibly kind regarding what we here at AniFem are trying to curate with our comment policy. So I'm going to do a quick thread to talk about what I love about @AnimeFeminist.